Population growth from migration is continuing to decline with the net gain, long term arrivals minus long term departures, dropping to its lowest level in four years. Statistics NZ said there was a net gain of 6263 people in September, which was the lowest it has been for the month of September since 2014. That's down 21% from the September 2016 peak of 7904. On an annual basis there was a net gain of 62,733 in the 12 months to September, the lowest it has been for that period since 2015, and down 12% from the September year peak of 70,986 in the 12 months to September last year. The fact that the monthly net gain figures are falling at a faster rate than the annual figures suggests the numbers are continuing to decline. The reduction has been caused by a modest drop in the number of people arriving in New Zealand on a long term basis, which was 128,982 in the year to September, down 2% compared to the previous 12 months. The biggest decline in new arrivals was from China, with long term arrivals from that country falling to 10,978 in the year to September, down 9.5% compared to the previous 12 months. Over the same period there was a big increase in the number of people leaving this country long term, which was up 9.3% in the year to September compared to the previous 12 months, with China also recording the biggest change in departures. In the year to September 1008 people left NZ long term for China, up 41% compared to the previous 12 months. However China remains the biggest single source of new migrants, with a net gain 7517 from that country in the 12 months to September, followed by India 7231, South Africa 5304, the UK 4955 and The Philippines 4348. 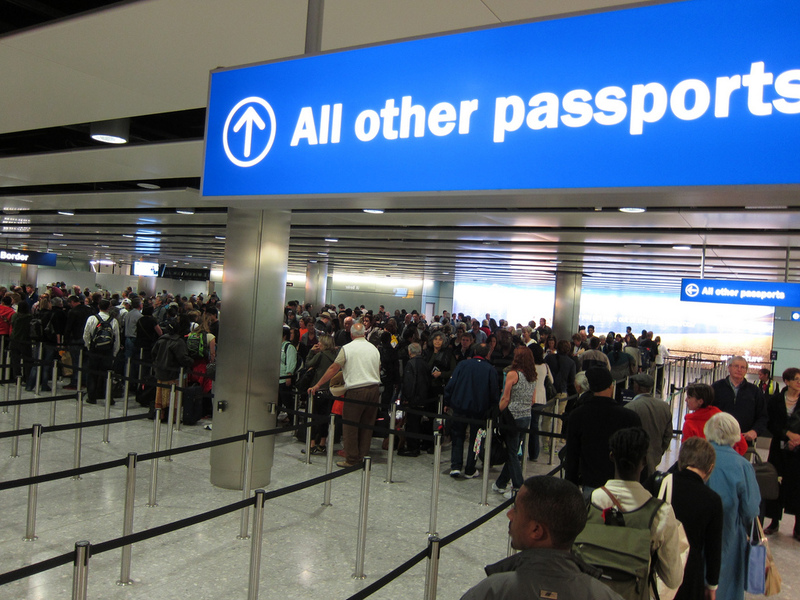 New Zealand citizens continue to leave the country in greater numbers than those who return after an extended stay overseas. There was a net loss of 2767 New Zealand citizens in the year to September, and a net gain of 65,500 non-New Zealand citizens over the same period. The biggest group arriving by visa type were those on work visas, and their numbers are continuing to increase. In the year to September 46,933 long term arrivals were on work visas, up 2.5% compared to the previous 12 months. But people coming on residency and student visas are declining. In the year to September there were 23,415 arrivals on student visas, down 2.6% on the previous 12 months, and 13,169 arrivals on residency visas, down 18.6% on the previous 12 months. In a newsletter on the migration figures, Westpac senior economist Satish Ranchhod said migration was expected to continue falling. "We expect that migration will continue to ease back over the next few years, pulling population growth down in the process," he said. "This reinforces our expectations for a period of soft demand growth over the coming years." That's still the population equivalent of Tauranga (as at 2016) arriving annually. We're going to run out of motel space for the homeless soon. I'm sure Tywford can find some space for them down in Wanaka .Maybe the govt. could look at airBnB's as the place to park the homeless. Is your son enjoying the easiest 100k he's ever made on his first home he bought a couple years ago in Palmy? Smart lad. But how much more is that second one going to cost him?! Don't confuse Simon with logic. Go easy on him - he is from Palmy, after all. BW, who do you suggest provides the Rental stock for people who want to rent, can't afford to buy, or have shot credit and will never be able to buy? Where do these people live? Unfortunately a lot of people are fixated on Property as.. make a gain and cash out your chips when it goes up...Not everyone invests like that. Rentals long term become income in retirement and future generations if never sold. Same as shares and other types of Asset classes. This fixation on buying and timing markets and freaking out on every dip or surge seems to be a fools game and effects markets accordingly. I don't think it's brainwashing, everyone wants to be secure in retirement and perhaps for their families as well, its in a lot of peoples nature to seek some sort of investment vehicle to help, you can't rely on the govt or any govt that will be in power in the future to bail you out. Speculation has its risks, but as a good means for long term retirement I don't think buying an investment property or 2 or 50 is a cancer in anyway. Hi, Simon. He sold and moved to the US. The gain was not quite that much if I recall correctly (it was the third house he has owned and he was only in it for around 2 years). It's the other son in Welly that was the first home buyer a couple of years ago. Still, the gain was tax free and hence more in take-home pay than in the job over an annum. It's nuts. Can't last. We've moved to Welly now and really miss Palmy - will even more so when it's beach season as we really enjoyed Himatangi - lovely uncrowded space where dogs and cars are both welcome; and everyone behaves sensibly - like all beaches used to be :-). And how many arrived on short terms visas ? Last month net increase still squarely positive for most regions - In regions where replacement cost is still above median value there new arrivals end up competing for a limited number of 'lower end' valued houses either to buy or to rent. My friend who works at Waikato Uni believes this drop off in migration is a temporary glitch as the recent changes in post-study work visa will see a resurgence in student arrivals from Asia. A no-strings-attached 3 year post study work visa for level 8 and 9 programme students and a salary of $49k for residence visa will attract tens of thousands of prospective international students to flood our job markets. I disagree. I think your friend might be a bit wishful. The legislation changes primarily affect the low end educational providers and that is where the majority of the current long term settlement is coming from. Those studying at level 7 and above aren't fighting tooth and nail to get into the country - they have much better options. And among those who do study these degrees, currently, we already suffer from significant retention issues for obvious reasons. Sorry for bursting your bubble but those migrants fit to qualify for level 8 programmes in NZ aren't exactly rocket scientists. Not sure if you know this but being a commerce post-grad from Asia in Australia, US or Canada doesn't take you very far when seeking employer sponsorship for a work visa or permanent residency. New Zealand is the easy option for those not wanting to "fight tooth and nail" with talented individuals for limited opportunities at other destinations. But our governments do not actually want the best. They make processing of visas a slow bureaucratic process for the exceptionally talented. Could be cut by letting employers put substantial money in escrow until processing is complete. This will not dissuade high-flyers and their employers but it might put off the pleasant young women at the New World checkouts and the efficient young men at the petrol station. Immigration as defined by governments for the last 20 years means house prices increasing and cheap fast food. Great for the establishment and a kick in the teeth for the poor. Unfortunately I can't tell if you're serious or taking the piss. I'll go with taking the piss, otherwise the analysis is overly optimistic and based on what exactly (it's not even opinion , it's wishful thinking. Financially struggling polytechs with no academic credibility to lose. But still having NZQA authority to give out degrees. Watch for a plethora of low-quality degree courses that anyone with a pulse and ability to walk upright can get entry to. Then the floodgates will open again. The government will say "well we didn't see that coming" and of course all along they did. They are offering a backdoor guaranteed path to residency and that is going to be very attractive. But don't forget they have to get the degree and that is a minimum of 3 years even from a struggling polytech. It comes down to cost to the overseas student - can they afford the cost of the "education" if the degree is viewed as worthless by employers. They only need to complete a degree and have done at least 30 weeks of study in New Zealand. Of course, you can't get a bachelors degree in 30 weeks. So they must be making allowances for potential students to cross credit overseas study. Some institutions will allow up to two thirds as cross-credited. So struggling Polytech will look at your academic records from Bollucks University and decide to credit you two-thirds of their Bachelor of Bollucks. You give them one year of overseas student fees and complete a few easy papers over a couple of semesters. The Polytech staves off financial ruin for a bit longer and you get a 3-year open work visa and a virtually guaranteed path to residency in a (for the time being) first world country. It is starting to look like NZ citizens are leaving in greater numbers. Nowhere near the magnitude of 2008-2015 yet, but a clear trend in the raw data. Only 2,320 houses required to accommodate this month's net migration gain. theres 8500 places to rent country wide currently. I think we're ok champ. Don’t worry, this isn’t a trap to get you to dig yourself a deeper hole regarding a nonsensical earlier comment. A lot of them will be arriving without pot to piss in. I wonder if the government is looking into a time frame before immigrants qualify for means tested benefits and housing support? No point having them here if they can't afford to house themselves. that's why NZ first is trying to change the super to 20 years instead of 10 to qualify. Lies, damn lies and statistics. These figures are about intentions at the airport. My builder friend who went to Australia intending to stay forever has just returned - intention changed. Work visas arrive and change to residence visas without leaving the country. Working holiday visa staying under 12 months is considered a tourist and over 12 months a migrant. The only safe figures are (1) how many arrive and how many leave with an adjustment for recorded births and deaths and (2) how many applications for permanent residency are approved. Still far too high as house supply continues to fall behind demand and therefore increasing numbers of people are homeless. Despite their claims, this government does not care about our disposed and homeless, because if they did, they would not let anybody extra into the country until they can properly house our present population. NZ seems to have an infinite demand for low paid 3rd world workers - docile and easily exploited. Have we forgotten how to train and retain workers? This govt said it would tackle our world leading immigration with its not world leading rate of building infrastructure but it has asked for more immigrant builders and now 2,000 immigrant teachers. We haven't forgotten. It's just that it is not profitable. That's true especially when we as a general population are in the business of milking cows, chopping down trees and serving lattes to tourists. The industries that predominantly make up our national economy haven't kept up with the first world standards, hence our wages haven't kept up either. Smaller developed countries like Switzerland and Denmark have managed to keep their wages high with economies that are run by small yet specialized workforce catering to fairly complex industries. Thats right, wheres our silicone valley? Kiwibuild has been opened up to migrants with residency - a lot of these people came here with the help of immigration consultants who 'advised' them to put all their NZ assets into trusts to help them with getting government assistance for their children at University or the Pension or the unemployment benefit and now the latest migrant perk 'Kiwi Build Housing'. Some of these bludgers are going to rent their house (held in a trust) out and move into the 'Kiwi Build' and then move back to their house in the trust while they rent out their 'Kiwi Build' to house-less Kiwis who are born in bred in NZ. Its a complete betrayal by the Government of the voting electorate!!! Yea I'll be joining the crowd of NZers who have returned only to leave again within the next 6 weeks. Been back two years. No interest in Auckland, and as much as you can't beat Wellington on a good day, my concern is a good day in Wellington will soon be defined as one where the roads are open. Todays mess is appalling! In all seriousness though, time to move on from NZ. If it looks like a turd and smells like a turd it probably is a turd. I'm not stupid enough to hang around for the tasting session. Yes it seems to me like it needs to drop like 75% not 12%. Its worth remembering that NZ is not just a couple of islands... it is a huge empty space with endless resources that desperately needs populating, because more people improves quality of life. I have no clue why folk from China and India would prefer to be here as they have billions of people, surely the quality of life over there is awesome? True. Asian migrants are known to spread out over large empty spaces in host countries instead of crowding into small urban areas. They would rather live out in the regions than flat with 7 others in a small Auckland house. If not promised a decent quality of life and respectable wages, they do the noble thing and return home instead of driving down wages and living standards for others. I sure as hell never voted for any of that. I think we need far more National politicians in the beehive to get a new boost on these immigrant numbers, they seem to be trending down and we can't be having that now. Where can I buy a politician, 'New World?' or do we go to 'Pac N Slave'? I actually think you could buy almost any Politician at a 2$ shop...(Will be their next solid investment). Did you not know that Politicians live for today, but plan for tomorrow. They own the Freeholds....tis why they own..Rentals. User pays. I don't care about the migrant data falling. What I do care about was the approximate 6,000 (10%) additional kiwis that left nz. Also the additional 9,000 that have just gone on the job seeker benefit. My take on this it that the number of jobs being created is falling, and layoffs are rising. How is this government anti business if growth reports were higher than expected and unemployment levels dropping? Perhaps we just have pessimistic business leaders who are out of touch? I predict a tsunami of liquor store workers and curry shop staff arriving. Boy you sure need that Phd from the pop up Tauranga International Online University to do that job...our economy will really benefit! So 60,000 kiwis are moved into more crowded rentals. Why? Because we haven't started exporting whinging poms back to the motherland yet? Been here since 1974, no intentions of going back and in any case the whinging POMS were replaced by whinging Maoris years ago. and replace them with what? Immigrants who always do as they are instructed? never question? fear displeasing their master in case their residency is revoked? Vote in a bloc against the freedoms of democracy? We could put Roger Witherspoon in a dark cell, I would miss him, but that way his questions are never answered....... is that what we want? or is questioning, whinging (yeah I do it too) an essential part of every democracy 'Pragmatist'.... if you don't vote, you don't have a right to complain (whinge)... if you care to vote, then you should bloody whinge if things aren't right and try to force a change by numbers.....before the values that your numbers stand for fail to exist.. These guys still don't get it, the housing crisis is just the start, Auckland doesn't have the resources to accommodate the levels of migrants entering, it doesn't have the electricity infrastructure or the water infrastructure. If you double the population, you need to double the amount of housing, you also need to double the amount of electricity and the capacity of the water supply. This costs alot of money and if people are piling in from the third world with a third world skill set they won't earn the export income to pay for this infrastructure. Did all these migrants bring in another Fisher and Paykel Healthcare or a large manufacturing company earning millions of dollars in exports to pay for the infrastructure. The infrastructure can not be paid for by serving cappuccinos to each other? Auckland is faced with a looming electricity and water crisis from unsustainable migration levels and Aucklanders face a third world future. I got a lame letter response from Galloway last week, about 6 months after I wrote to his office. The government has fallen short of its election manifesto with its tinkering response to immigration. Mr Lees-Galloway doesn't take so long to reply to me - a couple of months usually. Maybe I get a better response because I lay all blame on his predecessor and I spell his name and job title right. The responses are rather lame. Of course he doesn't actually write them himself but has a trained assistant batting responses on one hand rejecting applicants for visas who have been mangled by the arbitrary mega-bureaucratic processing of their applications and on the other hand politely rejecting the out and out racists who would decide immigration purely on skin colour; the third hand responds to requests for consistency and sensible suggestions with lame excuses. Clearly he needs a better assistant; I expect he will advertise abroad because it is so much easier than training a kiwi. Labour liars. Go into the election saying they will reduce immigration by 30,000. A trifle harsh. A reduction in permanent residence visas of 15,000 from the high 3 years ago is not bad in one year. I'm not optimistic but he does have time to get it down to rational numbers (that means half the current figures). Of course his changes to graduates working after graduation make make things worse four or five years from now (but a slightly better standard of checkout operator) and his colleagues enthusiasm for more immigrant teachers, builders, dairy workers, care-givers does undermine any effort he does make. Look forward to net migration hitting zero - the sooner the better. So the reduction in net migration is due to a 2% reduction in immigration and a 9.3% increase in emigration. So we are losing more kiwis and gaining more foreigners, not a winning formula in my opinion. Well, we worked hard to increase housing costs and depress wages for the last decade or so...I cannot imagine why so many Kiwis are heading offshore for opportunity, eh. Of course it isn’t! NZ is being filled up with 3rd world immigrants who don’t give a toss about NZ and it’s people who come from disgusting polluted, overcrowded, corrupt dog eat dog countries and kiwis that have seen their standard of living reduce dramatically in a short period at leaving for a better place. Stop the mass immigration enough is enough.